We now begin the second phase of our safari through Scripture. Having concluded our study of the Old Testament, we need to complete the picture by getting a grip on the New Testament…God’s final word to humanity. Our desire is to see all 27 books as a whole—to see how they fit together, how they relate to us, and the value of each section to the person who reads and believes the Bible. Of special interest is the “flow” of thought carried through these books and letters of the New Testament. The Church is like a mighty army marching through time deliberately, confidently, victoriously…spurred on by the promise of its Founder that the gates of Hades will not overpower it. 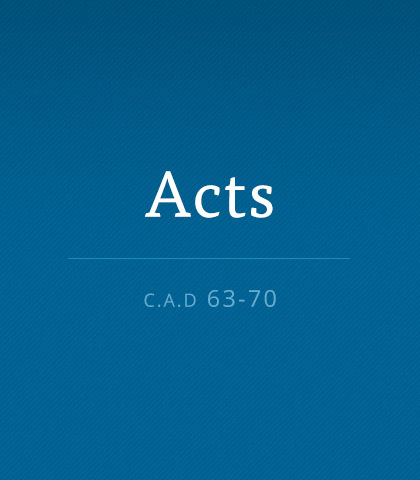 No other book in the Bible underscores the richness and courage of our heritage better than the book of Acts. And no other book affirms more clearly our God-given power to persevere. We may be small in number, but no remnant was ever surer of its destiny. We’re to be informed in our biblical knowledge of the future, but we’ll never understand all of biblical prophecy. Some of it will remain a mystery. The reason we place our trust in Jesus is not to escape the horrific destiny of hell. According to Scripture, following Jesus means that we’re in a lifetime process of becoming more like Him. Be listening when Chuck Swindoll helps us remain focused on our primary mission. In the first chapter of the book of Acts, the apostles were gathered in Jerusalem, waiting and even a bit confused. Would the kingdom of Israel be restored now that Jesus had risen from the dead? What was the nature of the kingdom of God? What did Jesus mean when He said, “You will receive power when the Holy Spirit has come upon you”? Jesus poured His life into 12 men, teaching, coaching, warning, and mentoring. And when He ascended into heaven, these disciples were not abandoned! The Spirit of God took over and became the fuel they desperately needed. Pentecost is when Christians celebrate the gift of the Holy Spirit. Today the Holy Spirit’s presence is just as powerful and evident in the lives of believers as it was at the time of Pentecost in the Bible. Many of us can readily recreate a mental picture of the church we grew up in…the building, the people, and the preaching. Chuck Swindoll invites us to go back much further, to examine an original snapshot of the very first church.